In the May sunshine the hedges are smothered in the white blossom of Hawthorn and Elder. 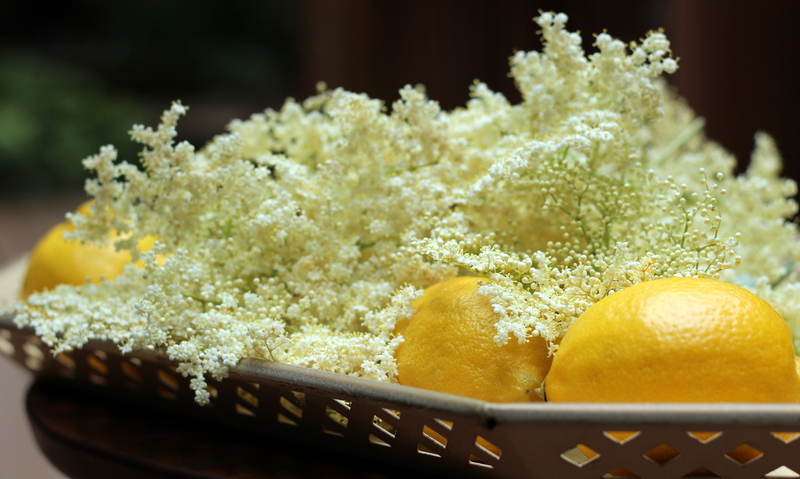 Some of our volunteers were interested in making elderflower cordial – now very fashionable as a ‘presse’ or a posh pop, so Susanna has kindly shared her tried and tested recipe. Spread the elderflower heads out on a clean cloth, and all the little insects will run away…Mix in a large pan or bucket. Cover and leave for 24 hours stirring every so often. Strain and bottle in clean sterile bottles ( glass juice bottles or wine bottles washed and sterilised in an oven are good ).Label and store in a cool place.Will last until next years elderflowers start to open.Makes a refreshing drink when you add cold sparkling water . Is also nice to make cocktails or add elderflower flavour to other dishes ( e.g. with gooseberry ). The scent of elderflower is very distinctive, as are the flat heads, but there are a couple of other ‘lacy’ plants, such as viburnum, which look superficially similar. If you are in any doubt – don’t pick! On Monday afternoon, a bus left the rails of the guided busway, went up the bank and came to rest in the hawthorn hedge at the back of the orchard. Very sadly five people on the bus were injured in the accident, and of course our main concern is that those injured, and all those affected, make a speedy and full recovery. We wish them all the best. Meanwhile down in the orchard, once the bus had been removed, we stood and looked at the damage to the hedge with some shock and amazement. 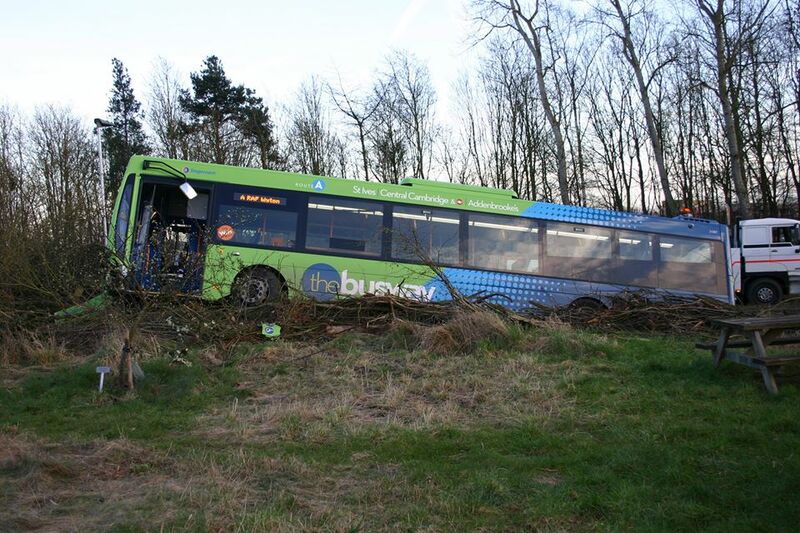 It looks – well – it looks as if a bus has flattened it. The two mature hawthorn trees have been completely torn out at the roots, and as for the rest only time will tell if any of it can be persuaded to grow back. Cambridge Council and Stagecoach have both been to look at the site and we are communicating with them throughout. We are also seeking advice from experts as to how to proceed. In the meantime the quince tree will enjoy getting a bit of extra light, and those on the bus and the path have a totally new view into the orchard. 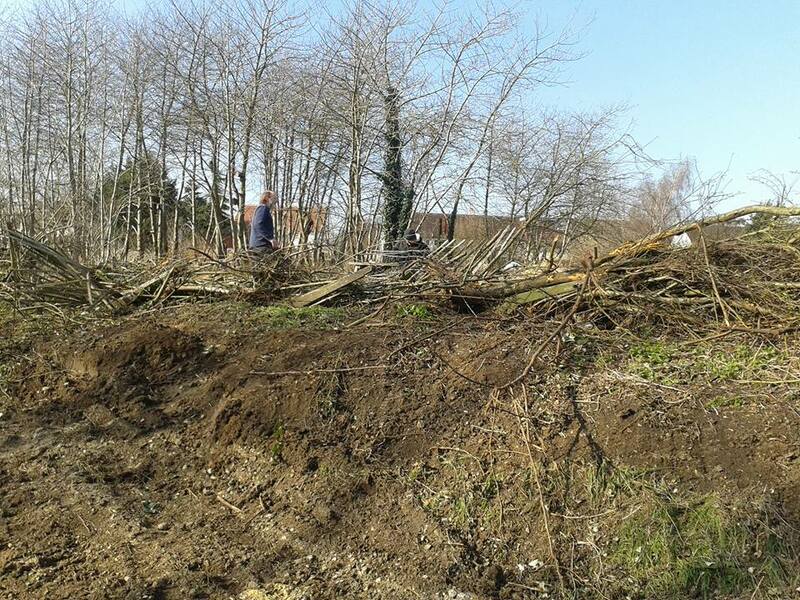 I am delighted to say that, thanks to the Wildlife Trusts of Bedforshire, Cambridgeshire and Northamptonshire, a new orchard is coming to Trumpington. But the rangers need help to plant the trees on the site at Trumpington Meadows, and turn this area into a beautiful wildlife sanctuary. These pockets of green parks, orchards and community gardens are so important as wildlife corridors, to help with pollination of the local plants (including those in our gardens) and, of course, they are a restful space for local residents to visit. 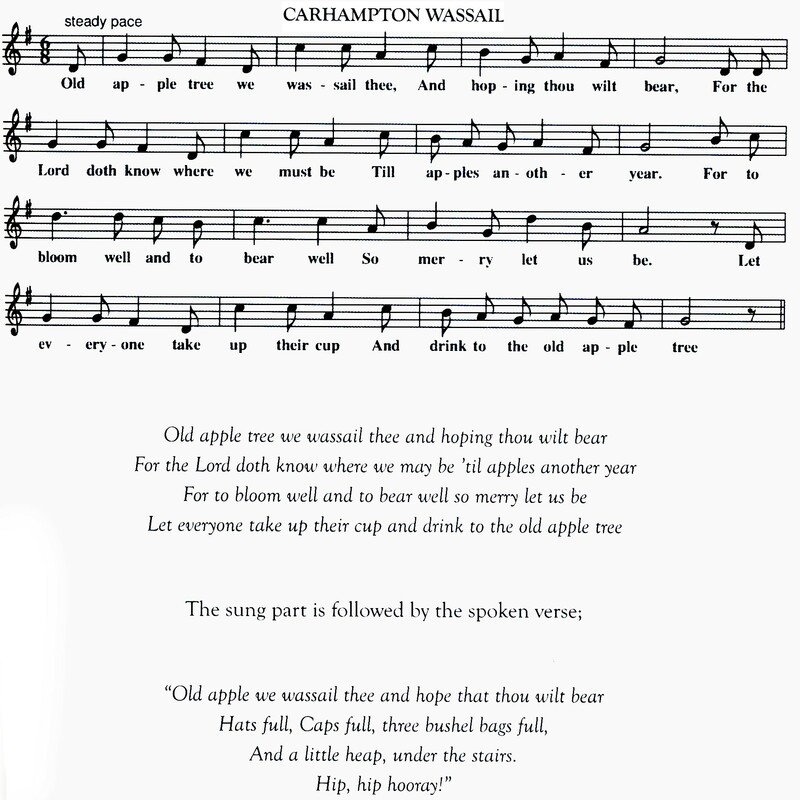 Wassail 2016 – are you in good voice? 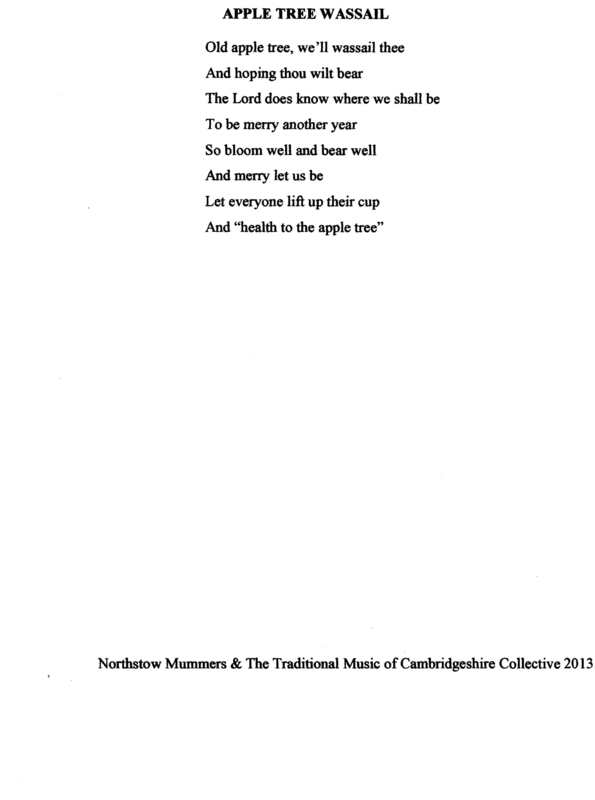 At the heart of a wassail is a good old sing song – a carol, a wassail song or something more like a hymn. Many of them are regional, a lot of them go back to the nineteenth century and even earlier. 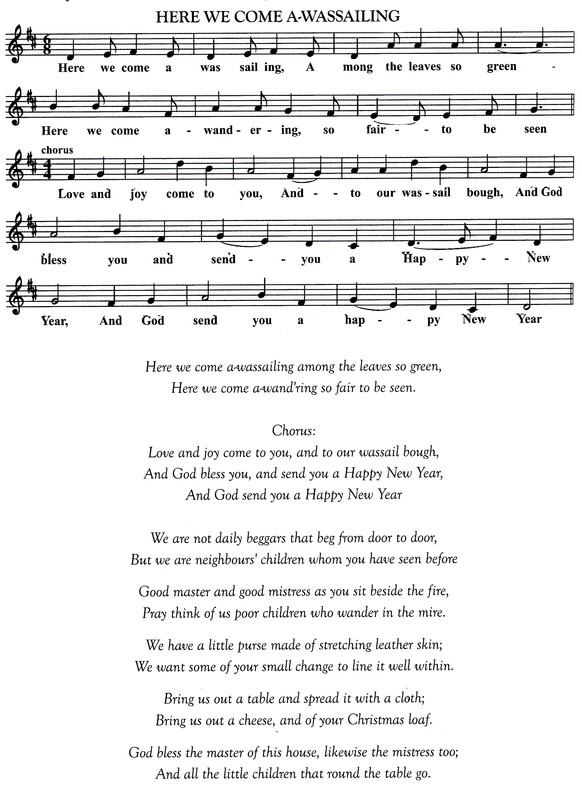 So here are the three we will be singing on 10 January (we meet at 2:30pm at the orchard.) If you can play a (portable, acoustic) instrument, by all means bring it along and join in. Personally I can’t read music, and I can’t carry a tune in a bucket, but that’s not going to stop me. The purpose of all the singing is to make enough noise to scare evil spirits from the orchard, so I should be fine! I am very excited by the plans for the Wassail – it’s become a feature of the orchard year, something to get us out in the cold (and sometimes wet) and remind ourself that, eventually, spring blossoms must come. 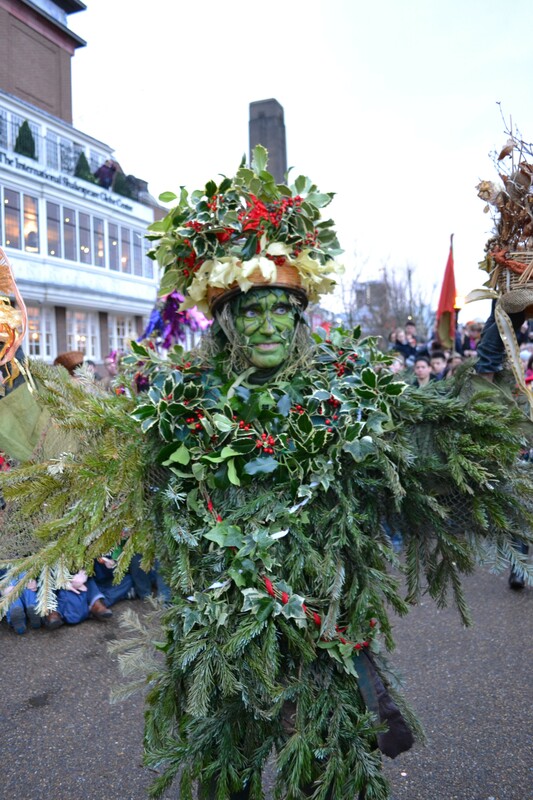 So – be greenwood royalty for the day – come to our Wassail as a King or Queen and join in the revelry. There will be music, singing and dancing. You can signify your status with a few leaves, a mask, green clothing – or you can go full-on, like this marvellous Holly King from the performance company ‘The Lion’s Part’. Just mind those prickles…. 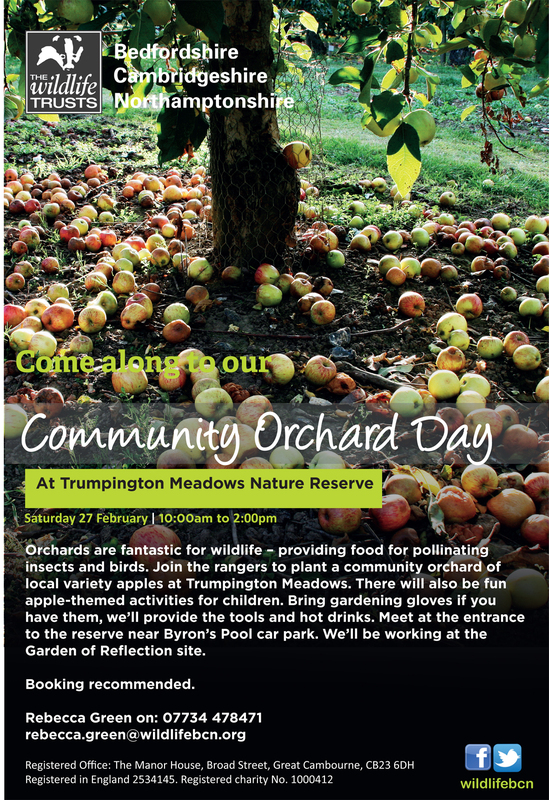 Wassailling details: Meet at Trumpington Orchard Sunday 10th January at 2:30pm. Apart from costumes, wrap up warm, and bring a torch. The event is free but donations are appreciated. Be prepared to sing! 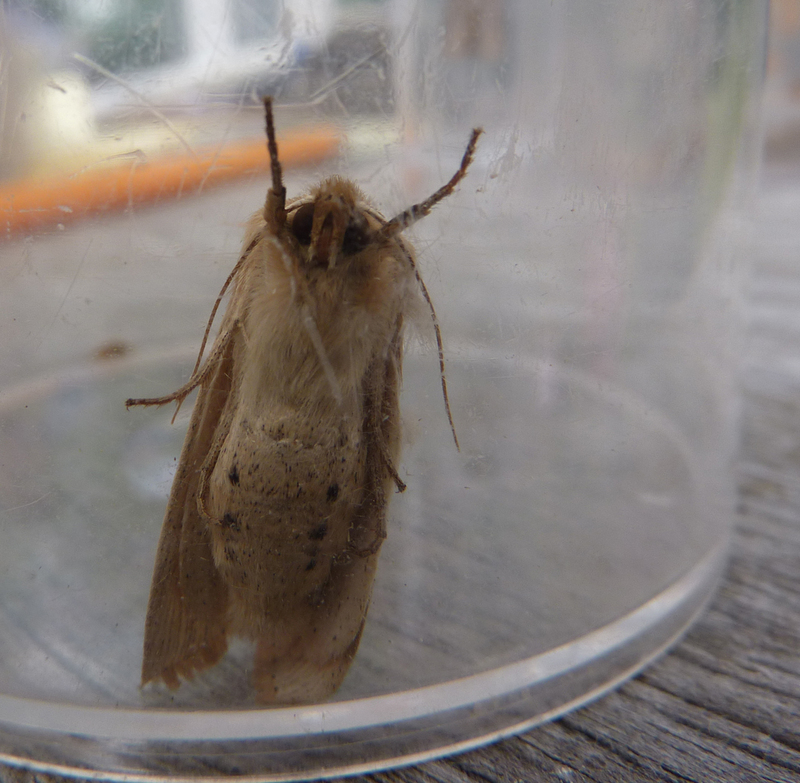 Moth Night 2015 – Friday 11 September 8pm. Come to the Orchard at 8pm this Friday, where local expert Charles Turner (from Cambridge Natural History Society) will be luring moths down with a big light and a sheet. See how many different species we can identify this year. Obviously, wear warm clothes, bring a torch, and park with consideration on the local streets. Free event, donations appreciated. We will be finished (or in the pub) by 10pm. Here’s one we got a close look at last Moth Night. We let it go straight away, of course. 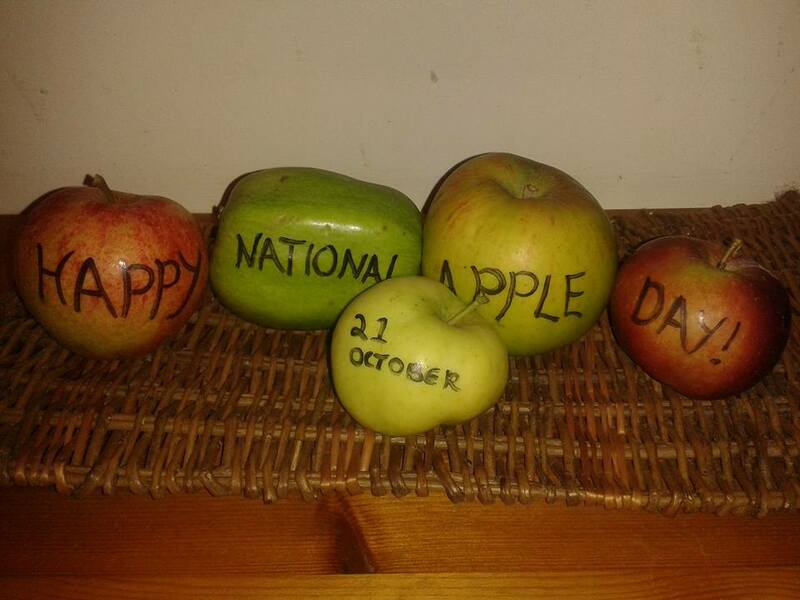 It’s officially Autumn, and that’s my favourite time of year – apples to eat, and trees to plant. Now is the perfect time to plan an orchard of your very own, but what to look for? 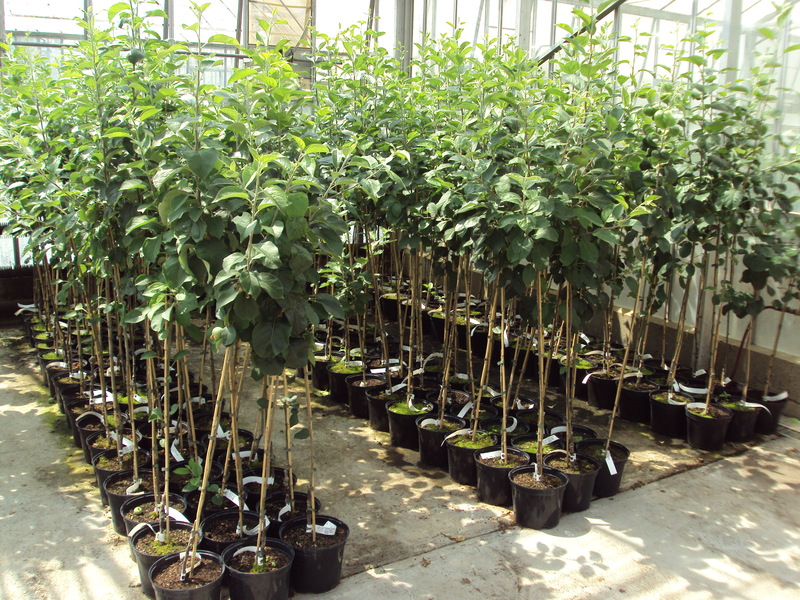 Down in your local garden centre, any time about now (in the UK) you will find lots of fruit trees. These days most of them will be ‘container grown’ – that just means they’ve spent their whole life in a pot. If you order online from a nursery, you may receive ‘bare root’ trees, which means that they have been grown out in a field, pulled up, the roots wrapped up to stop them drying, and put in the post to you. If you’re planning an orchard I’d go for bare root, and if you are looking for a couple of trees for your garden, container grown trees are nice and strong, and you don’t have to put them in the ground the minute you get them. With apple trees, as with so much in life, it’s all a question of size. I can rattle off various M numbers for rootstocks, and you can look these up (our friends at Orange Pippin have a really useful chart here) But in most garden centres, and buying online, what you have to look for is the word ‘dwarfing’. If a tree is grown on a dwarfing rootstock, it means it will not grow very tall. The rootstock gives the height and vigour of the tree. This means that you can grow a tree in a pot, on a sheltered balcony or patio or wherever you like, as long as the pollinating insects can find it. If you want a tree for your garden, choose one on a ‘semi dwarfing’ rootstock, that will give you a nice sized tree where you can reach all the apples. There are now self fertile trees (Scrumptious is a very good variety), which means you will only need the one, but most trees need another one reasonably close by so that they can cross pollinate. Armed with all this knowledge, what should you look for when you choose a tree? Look for one that is nice and upright, and where the union between the tree and the rootstock is clean and even. Some of the leaves may be brown or dried, that’s fine. As long as you can see healthy leaves too, and no injuries, the main concern is the shape. Walk past any that have, for example, one really long branch leaning one way, and one short one the other way. Although these things can be corrected with pruning, start off with the best shape you can get. Bare root trees will usually be only a year old, and look like one upright twig. Don’t let the rootball dry out before you plant them – get them in the ground as quickly as you can (have the holes dug before the van turns up!) and be prepared for a couple of failures. Happy planting! And if you have any questions visit our Facebook page and post your questions and photos there. We’d love to see your new trees. The Cambridge Community Collection, an ambitious art project that will involve planting one of every type of apple tree, is going well. But the trees that have already been planted, close to the orchard, need our help to get them through this hot weather. So, we have organised a joint maintenance session for all interested volunteers. Meet at the orchard at 11am on Sunday 12 July. We intend to spend an hour looking after the trees there, before moving on to those we planted along the Guided Busway. Please wear outdoor, working shoes and bring a waterproof and/or a bottle of water to allow for all types of summer weather. This photo shows all the lovely new trees that have been grafted at Brogdale, all growing happily away in the best of conditions. Midsummer picnic – do we have secret helpers?? Some treasure you’ll find The Midsummer Picnic is happening this Sunday, 21st June, from 12:30 – 3pm. 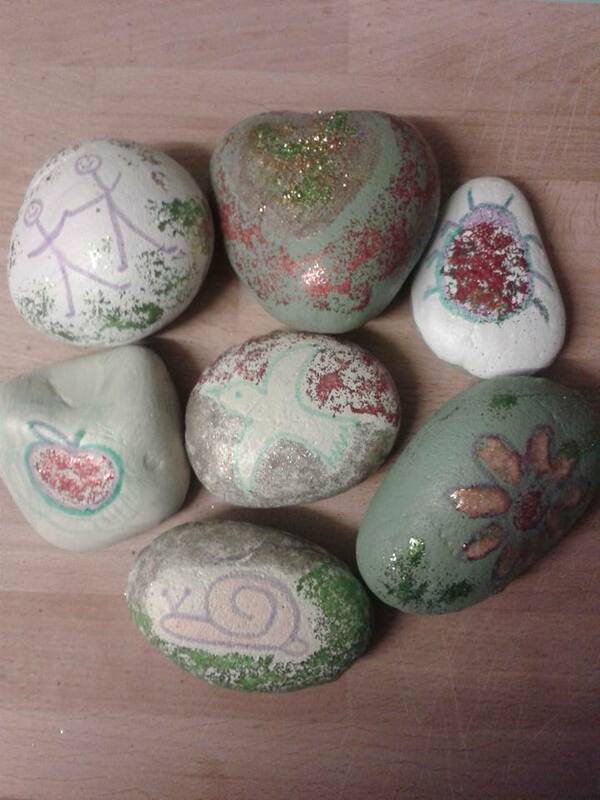 There is story telling and an art activity as well as a treasure hunt around the orchard. Look for full details on our Events page.